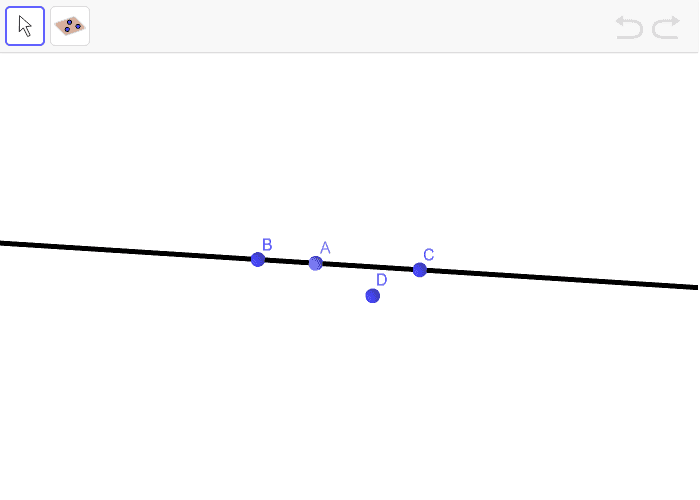 Use the plane tool to try to create a plane through the points B, A, and C. Next try to create a plane through points B, A, and D. How about A, D, and C, or B, D, and C.
Which of these options worked and why do you think so? If the green plane and the blue plane are parallel, and the red plane is perpendicular to the green plane, what relationship does the red plane have with the blue plane? A line contained by the blue plane must be ________________ to a line contained by the green plane. 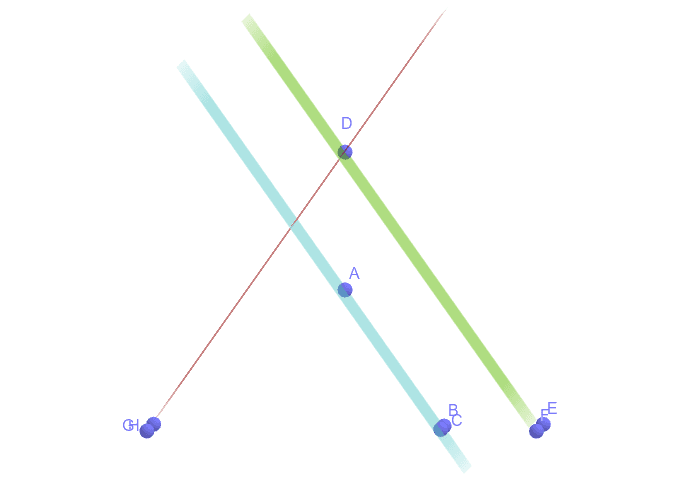 Justify why a plane cannot intersect the green plane without also explaining the blue plane. Which two points could you form a line through in order to construct a line that passes through all three planes but is not contained by any of the planes.